Kevin was an avid cyclist and supported the work of The Street Trust. We work to make it safe and convenient for everyone to bike, walk, and ride public transit. 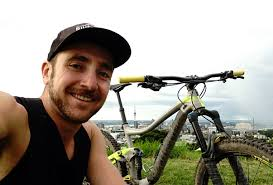 A donation to The Street Trust is a thoughtful way to honor Kevin's life and ensure streets are safe for cyclists - something Kevin loved very much. Once your gift is received, we will notify Paula and Scott Neidorf of your gift so they too can express their thanks.